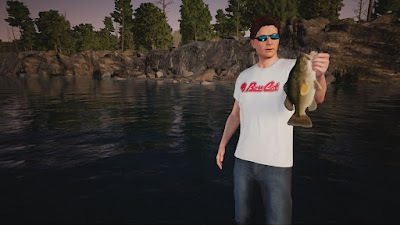 Dovetail Games' follow-up to the carp-focused Euro Fishing initially looks a lot more promising for U.S.A. anglers thanks to the big juicy largemouth bass on the cover but it turns out that Fishing Sim World is just another Trojan carp in disguise. 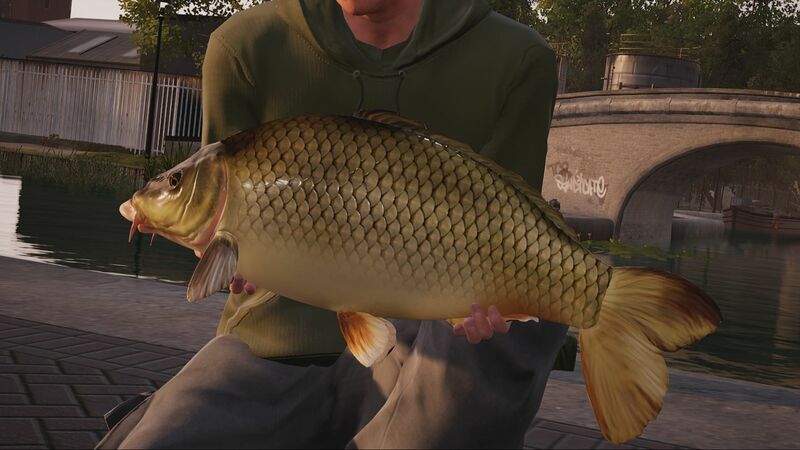 The U.S. lakes and fish species are more like an afterthought as the game is once again mostly dedicated towards European-style carp fishing. If the thought of Euro Fishing 2, which is basically what this new game is, truly excites you, then Fishing Sim World might be worth a look. If you were hoping for a more North American-focused fishing sim, however, this ain't it. See all of the details in our full Fishing Sim World review for Xbox One. I never played Dovetail Games' Euro Fishing (before this week thanks to Xbox GamePass, at least) because standing on a bank and catching carp was about the least appealing form of fishing I had ever heard of. In the U.S., carp are mostly considered an invasive nuisance trash fish that quickly overpopulate and choke out other more desirable species and not something you get excited about going out to catch (unless you're planning on just hauling them to the garbage dump afterward since you wouldn't want to actually eat them since they're bony and oily and fishy and nasty ...). I get it that there is a certain appeal to catching carp since they're some of the biggest freshwater fish around and they put up a hellacious fight, but they are way, way, way down on the priority list for most fisherman in the U.S. so it is weird to see two games now focused on catching them. 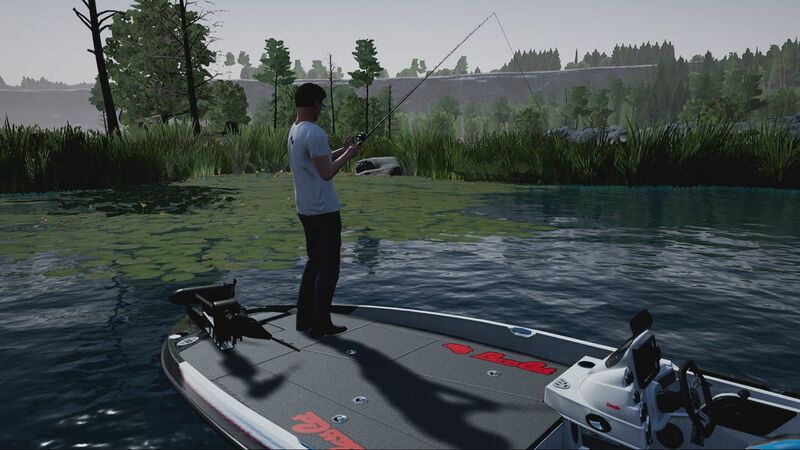 Fishing Sim World includes five European locations where you fish for carp off the bank and two gigantic American lakes where you can take a boat out and fish for different species of bass and other more familiar freshwater fish. There are 18 species in total, each with unique behaviors the require unique lures to catch. There are dozens upon dozens of lures and rods and reels and everything else you need to catch any species you're after. Disappointingly, while the European locations all have cool legendary named fish to go after, the American lakes don't which kind of gives the impression that American bass fishing was just tossed in as a marketing bullet point more than anything else. The core gameplay in Fishing Sim World is rock solid and is one of the more realistic fishing games I've ever played that didn't give you a plastic fishing rod peripheral to play with. With the right analog stick you have full control over the angle of your rod and can do little flicks and side to side motions to entice a fish to bite and it feels really natural. Once you have a fish on the line, fighting it while keeping an eye on line tension and managing your reeling speed feels surprisingly good and is a lot of fun. Well, the carp are fun to fight. The bass and other fish besides carp are kind of lifeless and boring to catch for some reason. They're all easy to reel in and all fight the same way. Again, almost everything besides carp feels like an afterthought. The presentation is also pretty so-so for the most part. The smaller European locations look a little better than the sprawling lakes in the U.S., but none of it is especially impressive. The water generally looks OK, but the banks are ugly. I do like that you can choose from a third-person or first-person camera perspective as the first-person view makes the gameplay feel even more authentic. The sound is ... present, I guess. Not noteworthy either way. 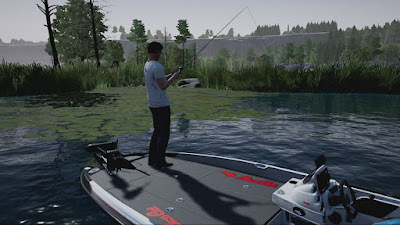 I may seem like I'm being unfairly harsh on Fishing Sim World - it is admittedly a fairly solid and realistic fishing simulation - but I'm coming at it from the perspective of a bass fisherman and it is quite disappointing in that regard. That they put a bass on the cover, despite the fact that the game is almost entirely focused once again on European carp fishing, is fairly misleading and American anglers expecting a bass fishing sim are going to be disappointed with it. Honestly, I wouldn't have even reviewed it if I had known this beforehand. With that said, if you like Dovetail Games' Euro Fishing, you'll love Fishing Sim World because it is a definite improvement and expansion over the fishing experience found in that game. If you are looking for a bass fishing game, however, you should look elsewhere (though, sadly, we don't really have any other reasonable options on Xbox One so we're kind of screwed either way).